In the USA and the UK, people with a body mass index (BMI) between 25 and 30 are categorised as overweight, and those with an index above 30 are categorised as obese. Obesity is a chronic condition characterised by an excess of body fat. It is a risk factor for several chronic diseases, including hypertension, dyslipdaemia, diabetes, cardiovascular disease; sleep apnoea, osteoarthritis, and some cancers. About 280,000 deaths a year are attributable to obesity. Medical Specialists originally operated slimming clinics over 20 years ago, and have a vast wealth of knowledge about patients’ feelings and the problems they incur. After a successful online consultation with one of our Prescribers, a prescription is written and you are able to buy weight loss treatment online in the UK, which is supplied by our very own Pharmacy. 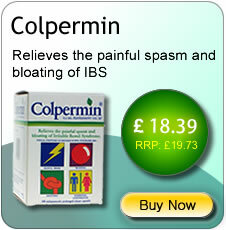 Used in conjunction with a balanced diet and exercise, these treatments are very effective. Xenical (orlistat) is a lipase inhibitor which does not enter the patient's blood stream, but works in the digestive system in the small intestine as a fat absorber. It blocks out a third of the fat in food eaten in a patient's diet, leading to steady weight loss. Research involving 11,131 woman and 4,418 men, who had been over weight for an average of 14 years, showed that 87% lost at least 5% of total body weight, half lost at least 10%, around 20% lost more than 15% body weight, and some patients lost more than 25%. Xenical is also suitable for patients with type II diabetes. Patients need to have a body mass index (BMI) of 28 or higher, and the therapy can be taken continuously for up to 2 years. Please note: This medication can only be prescribed and dispensed to those patients with a BMI over 28. If your BMI is less than 28, please consider the other medications we have available. Orlistat (orlistat) is a lipase inhibitor which does not enter the patient's blood stream, but works in the digestive system in the small intestine as a fat absorber. It blocks out a third of the fat in food eaten in a patient's diet, leading to steady weight loss. Research involving 11,131 woman and 4,418 men, who had been over weight for an average of 14 years, showed that 87% lost at least 5% of total body weight, half lost at least 10%, around 20% lost more than 15% body weight, and some patients lost more than 25%. Orlistat is also suitable for patients with type II diabetes. Patients need to have a body mass index (BMI) of 28 or higher, and the therapy can be taken continuously for up to 2 years. 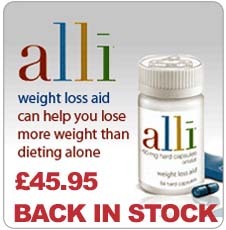 Alli is a weight loss pill, developed for adults who are overweight or obese (with a BMI of 28 or over). It contains 60mg of Orlistat, and is available without a prescription, unlike Xenical which contains 120mg and needs a prescription. Please note: This medication can only be dispensed to those patients with a BMI over 28. XLS Medical Fat Binder is a scientifically proven weight loss aid, made from naturally derived cactus leaves which are gentle on your system. With XLS-Medical you can lose up to three times more weight than through diet and exercise alone. You should be able to see the visible results in just 12 weeks. 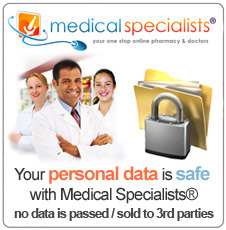 You can sign up for free to XLS-Medical Support programme after you complete your order. This programme has been designed to help you lose weight and provides diet and exercise plans designed by XLS-Medical's own experts. You also get reward points by signing up and participating in the programme. Depending on how many points you earn along the way, you may be eligible for 30, 60, or 180 pack of XLS-Medical Fat Binder for free. XLS Medical Fat Binder is suitable for adults over 18 years of age. People who bought Xenical from us in the past have also bought these products below from our chemist shop. We only supply genuine Xenical for obesity. 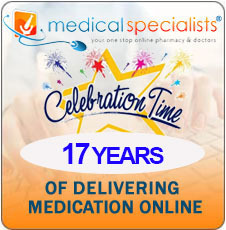 All medication is dispatched after a careful review of the medical questionnaire which has been filled in by the patient online.